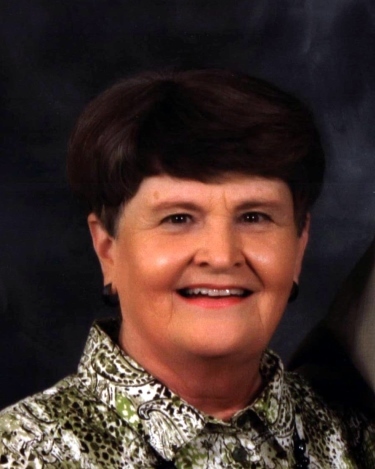 Wanda Sue Nichols Lancaster, age 74, of Woodburn Hay Road passed away Wednesday, April 3, 2019, at her home of natural causes. Funeral Services will be 1:00 PM Saturday, April 6, 2019, at Maddux-Fuqua-Hinton Funeral Home with Rev. Phillip Brumfield and Rev. Melvin Felts officiating and burial will follow in Riverside Cemetery. Visitation will be from 10:00 AM until 1:00 PM on Saturday, April 6, 2019, at Maddux-Fuqua-Hinton Funeral Home. Mrs. Lancaster was born September 17, 1944, in Glasgow, KY, the daughter of the late Claude William and Dana Lee Logsdon Nichols. She was a Homemaker and a member of Kelly Baptist Church. In addition to her parents, she is preceded in death by her husband of 50 years, Harold “RoRo” Lancaster in 2017; and her brother, William Manning Nichols. Survivors include her daughter, Tina Newby and her husband, Jason of Hopkinsville; her brother, James “Jimmy” Nichols and his wife Burneida of Hopkinsville; her sister, Cathy Nichols Lile and her husband Phillip of Hopkinsville; her grandchildren, Lacie Beth Newby Miller and her husband, Benton of Hopkinsville, Justin Newby of Hopkinsville, and Jacob Newby of Hopkinsville. In lieu of flowers, memorial contributions can be made in her honor to the Gideon’s International at P.O. Box 982, Hopkinsville, KY, 42241 or Pennyroyal Hospice at 220 Burley Avenue, Hopkinsville, KY, 42240.